Côte-St-Luc voters will choose between incumbent Mitchell Brownstein and former mayor Robert Libman. Longtime Côte-St-Luc resident Carole Blank says she’s “happy with everything” about life in the west-end municipality of more than 34,000 – a community with more than two dozen parks, an enviable aquatic and community centre complex, a stellar library and an almost even split between rented and owned dwellings. Although there are many older residents, the median age of 45.7 has dropped from 49 in 2016. Côte-St-Luc residents, along with voters in other municipalities, go to the polls Nov. 5 to elect a mayor and council; in Côte-St-Luc, seven of the eight council seats are being contested. In the run-up to the election, the Montreal Gazette stopped by the Eleanor London Côte-St-Luc Public Library to get a sense of issues important to residents. Keren Shemesh, who was browsing at the Cavendish Blvd. library with her son, 18-month-old Max Blauer, said she’d like to see more private daycares in Côte-St-Luc, particularly those with spaces for children under the age of two. Pleased as he is with the facilities and “how everyone is friendly,” Miguel Laliberté said he wouldn’t mind a few small tweaks, like more late-night buses and parking signs he could interpret more easily. For Julio Laufer, who with his wife, Dorothy, was waiting for a tablet class to start, traffic and the state of the roads are issues. 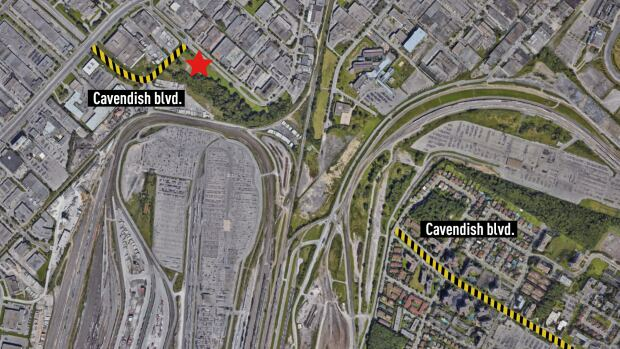 Had the long-talked-about (and recently approved) Cavendish Blvd. extension from Côte-St-Luc to St-Laurent been in place connecting the two dead ends of Cavendish, the commute to his Côte-de-Liesse-area workplace would have been considerably shorter. Bernard Arbitman also wants to see the extension built – “There’s no quick exit now from Côte-St-Luc except for the Cavendish underpass,” he said – and would like overnight parking on city streets permitted. Currently it’s not. Côte-St-Luc voters will be choosing between the current mayor and a former one. 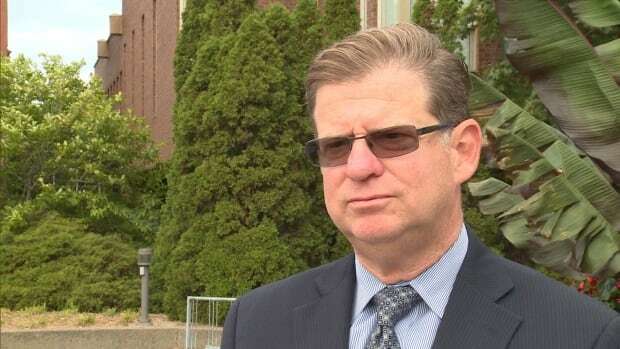 Incumbent Mitchell Brownstein, acclaimed as mayor in 2016 when longtime mayor Anthony Housefatherresigned after winning the federal seat in Mount Royal for the Liberals, had served as a city councillor since 1990. A lawyer by profession, he calls himself a full-time mayor – the kind of politician who gives out his personal cellphone number to constituents. Challenger Robert Libman, an architect and urban planner, was a provincial MNA from 1989 to 1994 and mayor of Côte-St-Luc from 1998 to 2005. He returned to private life and opened his own architectural consulting firm but returned to politics in 2014 and won the nomination in Mount-Royal for the Conservative Party of Canada; he was defeated by Housefather in the 2015 federal election. There is substantial overlap in their platforms and both candidates consider reducing taxes, seeing through the Cavendish extension, improving roads and relocating and redeveloping the CP rail yards among their top priorities. For resident Matthew Ross, whose home borders on the yards, their relocation is “my Number One issue.” Aside from advantages for the city linked to redevelopment of the area, which constitutes virtually a third of the municipality’s territory, Ross said he would welcome an end to the noise and odours generated by the yards. Despite their agreement on issues, a seemingly personal rivalry between the candidates has become evident. Each has levelled insults against the other on Let’s Chat CSL, a closed Facebook group for residents. And during a recent television debate moderated by Jamie Orchard of Global News, the two interrupted each other, talked over one another and traded barbs. One issue that has garnered media attention involves Libman’s role as in-house architect coordinating new projects with Olymbec, a real-estate company that owns parcels of land on the site of the future Cavendish extension. Brownstein has said this creates a potential conflict of interest. In fact, the land in question in the eventual corridor has already been reserved for expropriation – and was reserved before Libman entered the race. 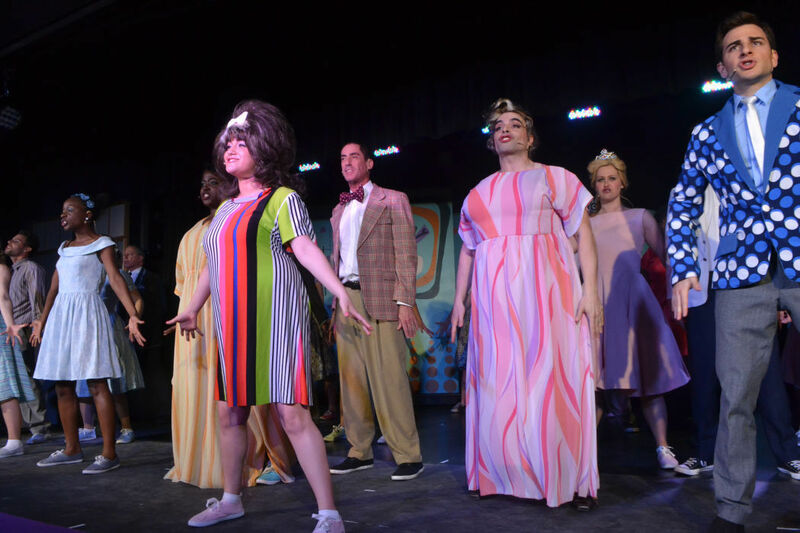 A performance of the Côte St. Luc Dramatic Society’s production of Hairspray. There are no plans for Côte St. Luc to proceed with a city hall project that would have included a new state-of-the-art theatre-style auditorium, Mayor Mitchell Brownstein told The Suburban. “We have no plans to move the project forward in the future,” the Mayor said Friday. Last week, The Suburban reported that demerged Montreal municipalities were left out of this round of federal-provincial grants for communities, while numerous off-island municipalities did receive sizeable grants. The grants are decided on by the Quebec government. This was revealed by Montreal West Mayor Beny Masella. Grants were denied for a new recreation centre in Montreal West and the Côte St. Luc project in this round of funding. “We will definitely keep on top of all government announcements to ensure we are first in line to submit a funding request when a new program opens,” Masella told the late August town council meeting. The Côte St. Luc project, Brownstein explained last week, was for “an extension to the city hall complex which would have added a theatre-style auditorium and other community spaces for programming and offices. 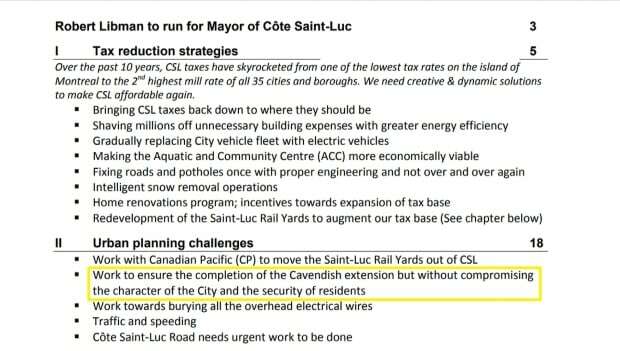 In the meantime, Côte St. Luc mayoral candidate Robert Libman reacted to last week’s Suburban story about the grant refusals, saying residents cannot afford to build and support an $11-$15 million theatre.